10While the effects of a car accident can result in life-changing injuries, the reasons for the accidents themselves are varied. Driving while distracted: Negligent drivers operate motor vehicles while talking on cell phones, texting, eating fast food, disciplining children and even applying make-up. Mechanical defects: Auto defects may include gas and engine failure leading to auto fires, defects in cruise control that lead to sudden acceleration, seatbelt and airbag failure, as well as SUV rollover accidents involving roof crush injuries. Improperly marked roads and highways: Ohio law places certain requirements on construction zones and other road hazards. When municipalities and contractors fail to follow these requirements, drivers may end up in car accidents. Accidents caused by animals: When a negligent farmer or pet owner lets their animals loose near a road, auto accidents are likely to occur. These animal owners should be held accountable for the harm their animals cause. Read more. Drunk and impaired driving: Drunk drivers can do the worst harm because they often get behind the wheel of a car insisting that they are fine to drive. Their impairment causes them to drive erratically, too fast, or in the wrong lanes altogether. Drunk drivers usually face criminal consequences, but they can also be forced to pay victims for the harm they caused. At Friedman, Domiano & Smith, we can file personal injury lawsuits against drunk drivers. Punitive damages, which are awarded to punish wrongdoing and deter future wrongdoing by others, are often awarded in accidents where a drunk driver is involved. 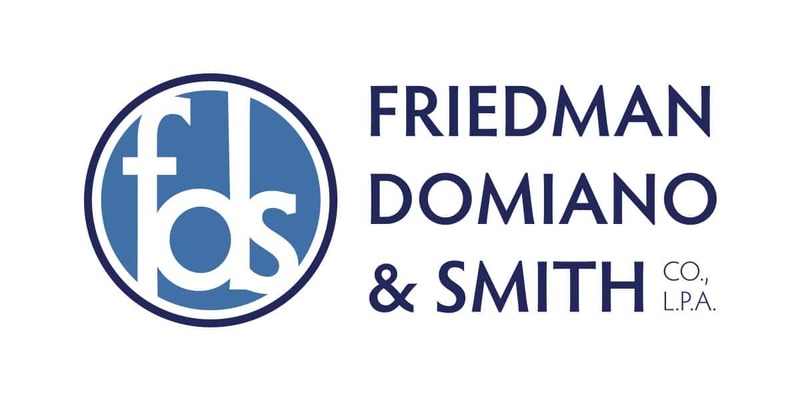 The lawyers at Friedman, Domiano & Smith file personal injury lawsuits on behalf of personal injury victims. Our goal is to help restore our clients to where they were before the accident by holding negligent drivers accountable for the harm they have caused.